The airport experience is something many travelers would like to avoid. From having to stand in line to printing boarding passes, checking bags, and the dreaded checkpoint, travelers nowadays find airport travel to be somewhat stressful and frustrating. Instead of griping and complaining over this unavoidable process, you can be proactive in determining how you can prepare your family for a smooth traveling experience. The dreaded security checkpoint horror stories have frightened many travelers resulting in feelings of apprehension, worry, and concern. Furthermore, changes in the Transportation Security Administration guidelines have further complicated the security process for those families that are unprepared. But, don’t let your fears keep you and your family feeling down about your much anticipated trip. Although the process can be hectic for some, with the necessary preparations you and your family can be on your way to a quick, easy, and stress free security checkpoint experience. Keep in mind the security checkpoint process can be as easy or as difficult as you make it. You can deter more challenges from occurring by taking the necessary measures that will better prepare you and your family for your upcoming trip. Screening Procedures – Prepare to remove jackets, belts and jewelry. Remember to empty pockets of change, keys, wallets, and cellular phones. Shoes will also need to be removed. However, children 12 and under are usually allowed to keep their shoes on during the screening process. Although this may seem tedious, those affiliated with health policy and administration deem this to be the best and most effective solution. The exciting thrill of lines at the airport! Arrive Early – Arrive at the airport 2 hours prior to the flight departure time. This will provide adequate time to go through the entire security process and will give time for additional screenings if needed. Boarding Passes and Identification – Ensure family members have acceptable identification and boarding passes. 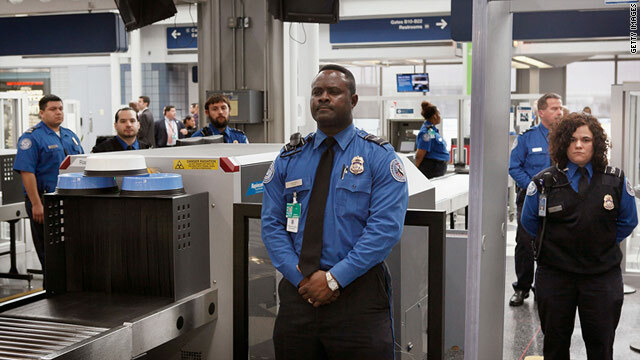 Removing Items from Your Bags for Screening – If you are traveling with electronics be sure you are aware of travel restrictions and which electronic devices must be removed from your carryon bags. Liquids, gels, and aerosols should be removed from all carryon bags prior to being placed on the conveyor belt for scanning. Become Familiar with Carryon Luggage Restrictions– Airline carriers will identify baggage policies to include the number of allowable bags on the airplane that must fit in the overhead compartment and/or under the seat. Visit your airline carriers’ website prior to your departure date to ensure you are aware of luggage restrictions. Remember, the latest travel advisory alerts can get your family properly prepared. Travel advisories can be a great resource in learning more about regulations and laws that may be pertinent to your upcoming travel. Get ready, get set, and get prepared to embrace all the adventures your family trip has to offer.